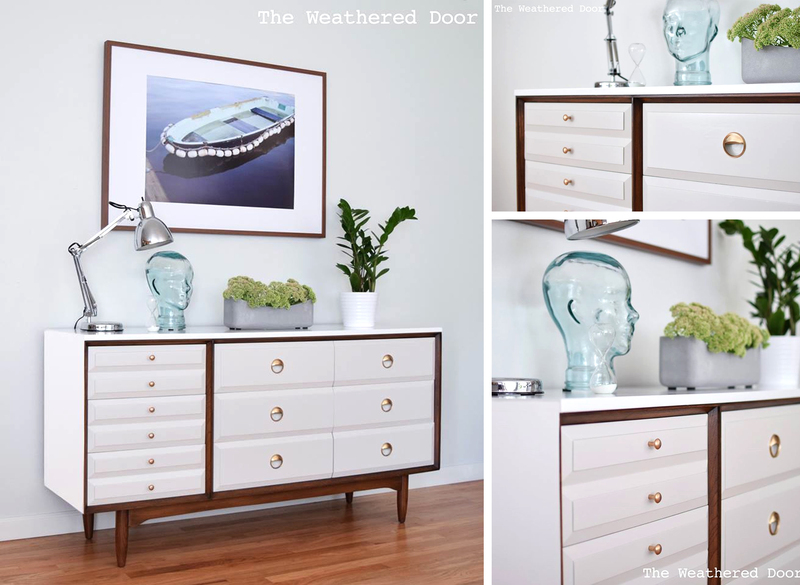 We're crushing on this Mid Century credenza upcycle by Reeves at The Weathered Door_! She used a 50/50 mix of Java and Antique Walnut Gel Stains for the accents, then sealed the piece with High Performance Topcoat in Satin. We suggest our Seagull Gray Milk Paint on the drawers and Snow White Milk Paint on the base to recreate the subtle two-toned look! See the full transformation on The Weathered Door's awesome new site - http://bit.ly/1L7w4dE - and be sure to subscribe if you haven't already!